Researchers with the Michael Cuccione Childhood Cancer Research Program (MCCCRP) embrace one goal: to save children’s lives, while improving their health and quality of life through every phase of treatment and recovery. 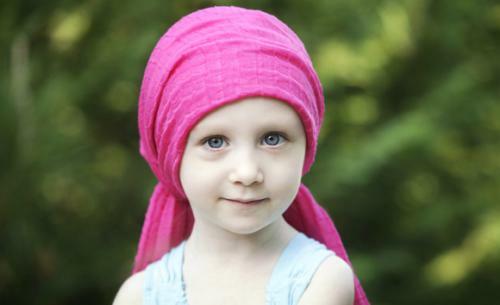 In British Columbia, about 125 children under age 15 are diagnosed with cancer each year. Twenty years ago, 50 per cent of those children would have not have survived. Today, due to advances in research, clinical care and treatment, Health Canada reports that three-year survival rates for childhood cancer exceed 80 per cent. While these success rates are impressive, overall mortality from childhood cancer still surpasses all other major pediatric diseases. The implications of the long-term effects of cancer for young survivors are increasingly profound. The MCCCRP is generously supported by the Michael Cuccione Foundation. Since its inception in 1997, the Michael Cuccione Foundation has worked diligently to fund childhood cancer research and make a difference in the fight against childhood cancer. The funds raised by this foundation are donated in memory of Michael Cuccione, who at the age of nine, had a vision to support various research programs across Canada and the United States. Our researchers are based at BC Children's Hospital and are members of the Childhood Cancer & Blood Research group. We conduct research that improves the lives of children and young adults with cancer and/or blood disorders, and those undergoing transplantation. Michael Cuccione Childhood Cancer Research Program (MCCCRP) team of investigators. Our broadly-based, comprehensive program in pediatric oncology research is built on a solid foundation of success. Our members enjoy a wide range of specific collaborations locally, nationally and internationally. Contact the Michael Cuccione Childhood Cancer Research Program at BC Children's Hospital.